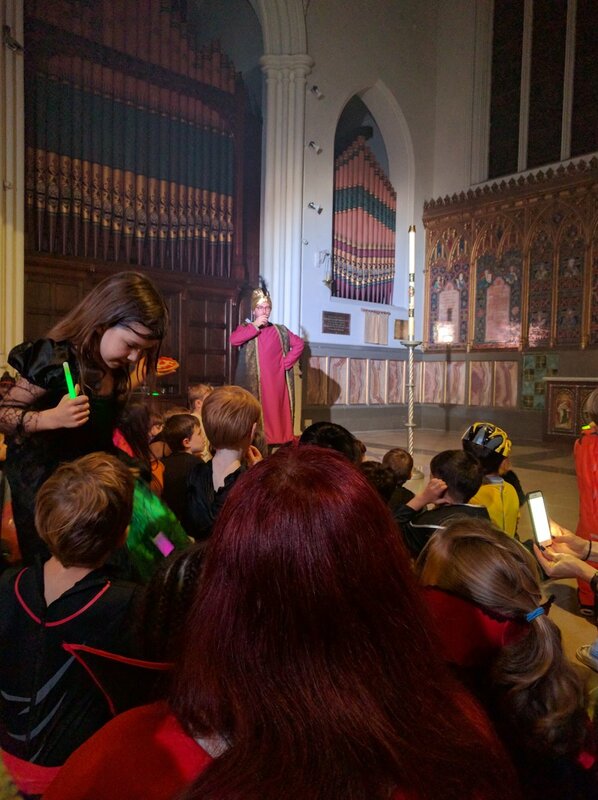 On Monday, St John's was transformed into a den of scary skeletons, slippery slime and ghastly ghosts as we hosted over 120 children for this year's Hallowe'en Workshop and Service of Light. Children decorated biscuits, bobbed for apples and doughnuts, made wands and scary masks. The daring dipped their hands into goo to retrieve stupendous spiders and the very brave ventured into the haunted house full of cackling ghosts and smoke. As the workshop ended the children were drawn up towards the Easter light on the daias where they were told a story of King Belshazzar from Daniel chapter 5. In the story Belshazzar desecrates a cup from the temple in Jerusalem, leading to a prophecy appearing on the wall that his kingdom would end. The story ended with a prayer for the night ahead and some fantastic music from Karl Jenkins's Requiem and a number of more contemporary halloween tunes sung by the choir at St John's. Older PostAnother Great Quiz and Curry!